Some have dubbed the new rules a “game-changer,” but in truth, nobody really knows where the moving parts will land, and what the SEC will actually do with the “tip a day” calls (and reportedly, higher quality tips) that it is receiving. What triage process will the agency use, what feedback will subject companies receive, and how will the investigation process be managed? And just as importantly, will the SEC treat “good” companies (the ones that have taken demonstrable steps to root out wrongdoing) from “bad” companies (the ones with no compliance program, or a program in name only). 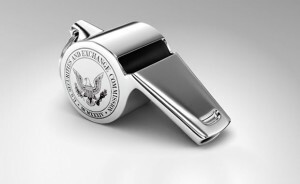 We will no doubt learn more about the SEC’s process for dealing with the rising number of whistleblower calls over the coming months.